CBRR are interested in the 'corridor' in EWR's announcement for the end of January (see our overlay) and look forward to the announcement of more specific route options. 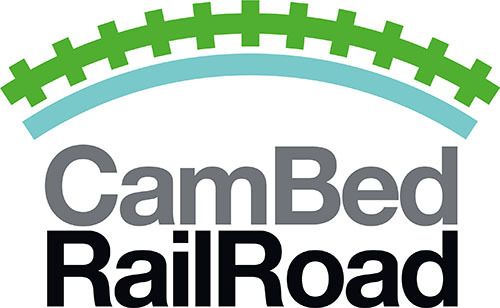 Some Councillors and Parish Councils have received the above communication on behalf of the East West Rail Company. We reproduce it here as already a number of those recipients have been in touch with members of CBRR to ask for further clarification. Other than what is in the letter, all we know at this current point is that the announcement will be made at the end of January of variations to both a northerly route and a southerly route, within the corridor envelope above; and we further understand that public exhibitions will be held by EWRCo at up to seven different locations including Bassingbourn, Cambourne, Sandy and Potton. 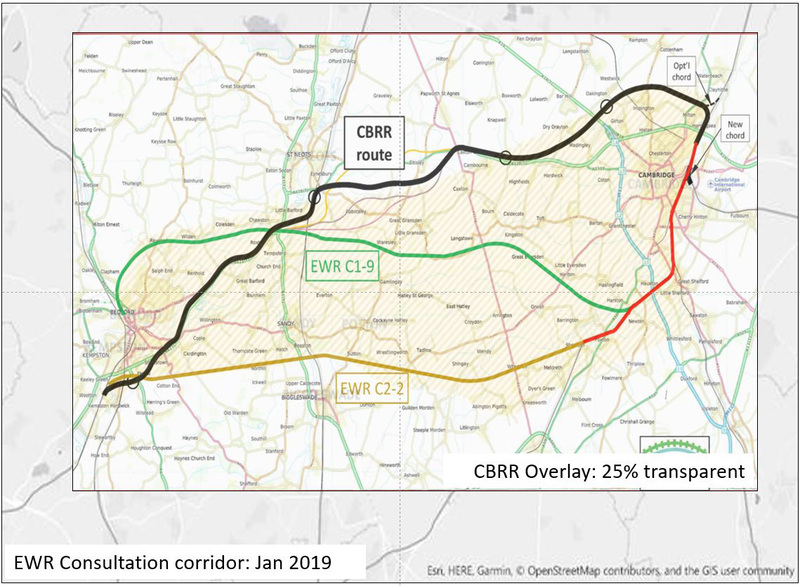 The corridor on EWR's map includes most of CBRR's proposed route following the A428 and its developments, with entry into Cambridge from the north, as shown by our overlay. We are hopeful that common sense has prevailed, and will continue to prevail.